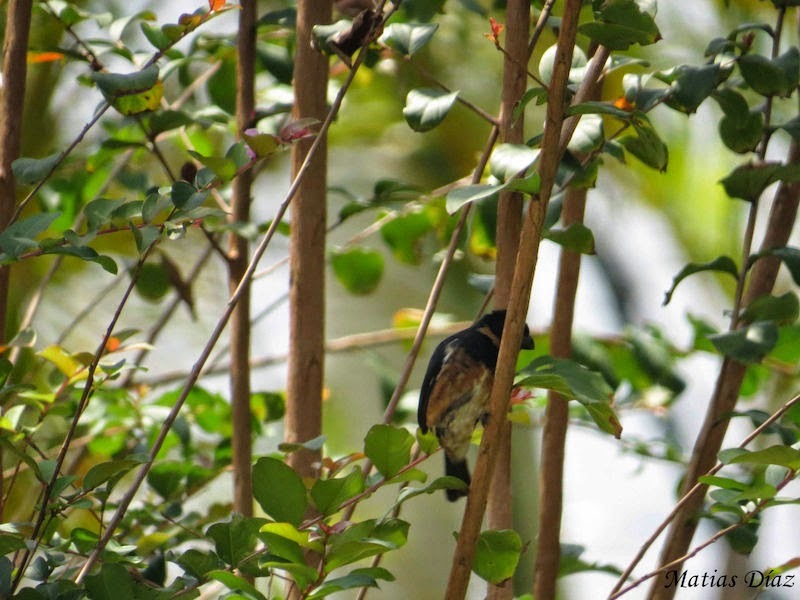 On May 5, Matías Díaz found a weird Variable Seedeater with a lot of chestnut on the collar and underparts while birding in a yard in Portobelo. 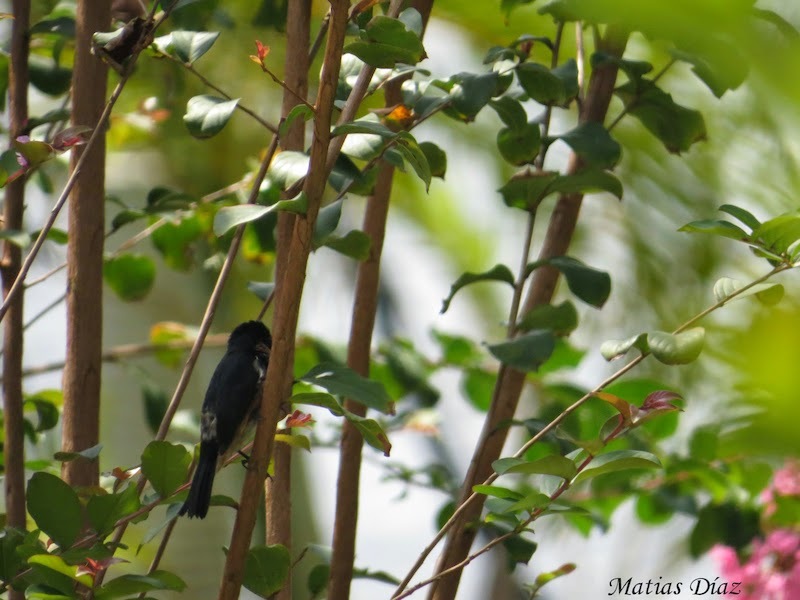 The Sporophila corvina observed at Buenaventura appeared to exhibit erythromelanism, where erythro - melanin was deposited in normally white contour feathers. 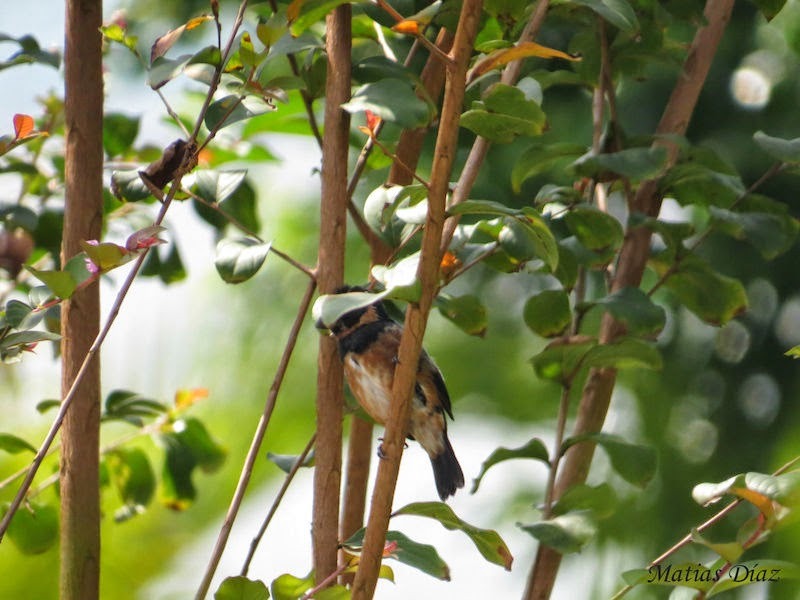 Olson (1966) collected a Sporophila corvina in Panama (AMNH) that exhibited similar plumage features to the individual observed at Buenaventura, with chestnut replacing the white contour feathers except the midbelly. 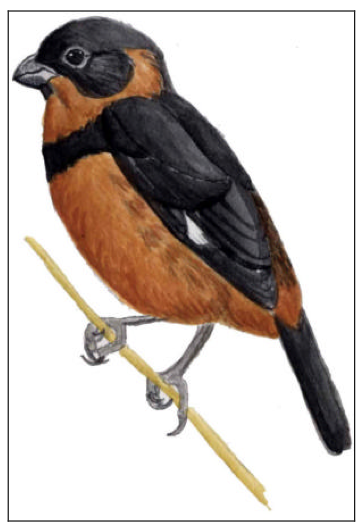 Like the individual at Buenaventura, in Olson’s specimen the wing speculum and axillaries remained white. 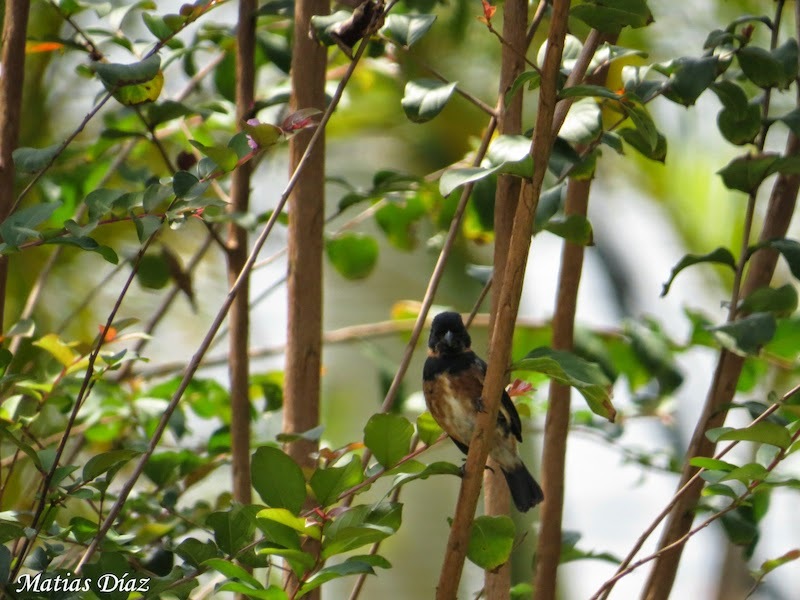 Erythro - melanism as well as other pigment aberrations may be widespread and important in the evolution of plumage patterns in the Sporophila/Oryzoborus clade, as simple replacements of rufous for black or white in the plumage are the only plumage traits that separate several closely related forms, such as Oryzoborus funereus and O. angolensis; and the ‘capuchinos’ clade containing the small southern South American species Sporophila ruficollis, S. palustris, S. zelichi, and S. cinnamomea (Lijtmaer et al. 2004, Ridgely & Tudor 1990).